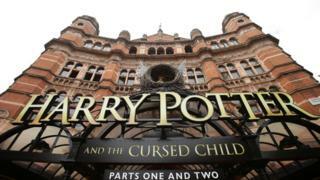 The theatre producer behind the hit Harry Potter play has revealed her own childhood experiences of having an absent father helped inspire its story. 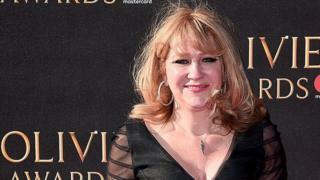 Harry Potter And The Cursed Child came about after Sonia Friedman approached author JK Rowling and portrays the orphaned wizard as a parent himself. Speaking on BBC Radio 4’s Desert Island Discs, Friedman said she was “very drawn to the notion of Harry as a dad”. She added she was “always looking for stories that might help me understand”. Friedman, 52, said she had experienced rejection due to a lack of a relationship with her father – the acclaimed Russian violinist Leonard Friedman, who left her mother before she was born. Friedman this year topped the Stage 100 list of the UK’s most influential people in performing arts while Harry Potter And The Cursed Child won a record-breaking nine Olivier Awards. The play was written by Jack Thorne after Rowling gave Friedman her approval to create a theatre production. Based on an original story by Rowling and John Tiffany, it is set 19 years after the final novel of the seven-book series. Friedman said she and her co-producer, Colin Callender, “were very drawn to the notion of Harry as a dad given that he hadn’t had parents of his own, and Jo [Rowling] loved that idea”. On her own relationship with her father, Friedman said that she would meet him around “once a year” as a child. She said: “I never had abandonment issues, but certainly rejection”. She added: “I never got a birthday present from him, I never got a Christmas present from him, and I don’t blame him. But Friedman said she had a “need” to see her father shortly before his death in 1994. “At the end of the supper he turned to me and said, ‘Sonia, I’m very proud of you’,” she said. Previous articleWhy the Hell Are We Still Debating Birth Controlin 2017?